Welcome to the Office of the General Counsel (OGC) of Neumann University. The OGC has overall responsibility for how legal matters are handled, providing legal advice to the University President, Executive Team and Board of Trustees; the office also oversees the Center for Leadership at Neumann University. 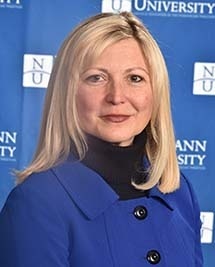 The Office of the General Counsel provides legal guidance to Neumann University. Our duty is to the University as an institution. We work to foster the University’s Catholic, Franciscan Mission through careful attention to the University’s related legal and ethical concerns. IMPORTANT NOTE: Photo I.D. must be presented, showing signature of affiant (e.g. state issued driver's license), who must sign document(s) to be notarized in the presence of the notary. The document(s) to be notarized cannot be pre-signed, or they will not be notarized.